Description: Yellowstone National Park is a business categorized under campgrounds, which is part of the larger category recreational vehicle parks & campsites. Yellowstone National Park is located at the address Yellowstone National Park in Yellowstn Ntl Pk, Wyoming 82190-0000. You can contact by phone (307)344-7901. 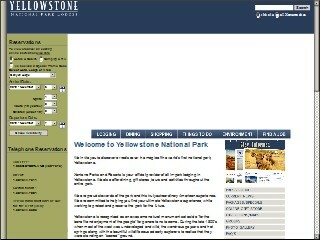 Location & access map for "Yellowstone National Park"